You can use a mobile device, such as a smartphone or tablet, as a virtual multi-factor authentication (MFA) device. To do this, install an AWS supported mobile app that generates a six-digit authentication code. Because these apps can run on unsecured mobile devices, virtual MFA might not provide the same level of security as U2F devices or hardware MFA devices. We do recommend that you use a virtual MFA device while waiting for hardware purchase approval or while you wait for your hardware to arrive. Most virtual MFA mobile apps support creating multiple virtual devices, allowing you to use the same app for multiple AWS accounts or users. However, you can enable only one MFA device per user. For a list of virtual MFA apps that you can use on smartphones or tablets, see Multi-Factor Authentication. Note that AWS requires a virtual MFA app that produces a six-digit OTP. When you configure a virtual MFA device to work with AWS, we recommend that you save a copy of the QR code or the secret key in a secure place. That way, if you lose the phone or have to reinstall the MFA software app for any reason, you can reconfigure the app to use the same virtual MFA. This avoids the need to create a new virtual MFA in AWS for the user or root user. To manage virtual MFA devices for your IAM user, you must have the permissions from the following policy: AWS: Allows MFA-Authenticated IAM Users to Manage Their Own MFA Device on the My Security Credentials Page. You can use IAM in the AWS Management Console to enable and manage a virtual MFA device for an IAM user in your account. To enable and manage an MFA device using the AWS CLI or AWS API, see Enabling and Managing Virtual MFA Devices (AWS CLI or AWS API). You must have physical access to the hardware that will host the user's virtual MFA device in order to configure MFA. For example, you might configure MFA for a user who will use a virtual MFA device running on a smartphone. In that case, you must have the smartphone available in order to finish the wizard. Because of this, you might want to let users configure and manage their own virtual MFA devices. In that case, you must grant users the permissions to perform the necessary IAM actions. For more information and for an example of an IAM policy that grants these permissions, see AWS: Allows MFA-Authenticated IAM Users to Manage Their Own MFA Device on the My Security Credentials Page. In the User Name list, choose the name of the intended MFA user. In the Manage MFA Device wizard, choose Virtual MFA device, and then choose Continue. IAM generates and displays configuration information for the virtual MFA device, including a QR code graphic. The graphic is a representation of the "secret configuration key" that is available for manual entry on devices that do not support QR codes. Open your virtual MFA app. (For a list of apps that you can use for hosting virtual MFA devices, see Multi-Factor Authentication.) If the virtual MFA app supports multiple accounts (multiple virtual MFA devices), choose the option to create a new account (a new virtual MFA device). From the wizard, choose Show QR code, and then use the app to scan the QR code. For example, you might choose the camera icon or choose an option similar to Scan code, and then use the device's camera to scan the code. Submit your request immediately after generating the codes. If you generate the codes and then wait too long to submit the request, the MFA device successfully associates with the user but the MFA device is out of sync. This happens because time-based one-time passwords (TOTP) expire after a short period of time. If this happens, you can resync the device. The virtual MFA device is now ready for use with AWS. For information about using MFA with the AWS Management Console, see Using MFA Devices With Your IAM Sign-in Page. You can use the AWS Management Console to configure and enable a virtual MFA device for your root user. To enable MFA devices for the AWS account, you must be signed in to AWS using your root user credentials. You cannot enable an MFA device for the AWS account root user in the IAM console or with the AWS CLI, AWS API, Tools for Windows PowerShell, or any other command line tool. If your MFA device is lost, stolen, or not working, you can still sign in using alternative factors of authentication. If you can't sign in with your MFA device, you can sign in by verifying your identity using the email and phone that are registered with your account. Before you enable MFA for your root user, review your account settings and contact information to make sure that you have access to the email and phone number. To learn about signing in using alternative factors of authentication, see What If an MFA Device Is Lost or Stops Working?. To disable this feature, contact AWS Support. You might see different text, such as Sign in using MFA and Troubleshoot your authentication device. However, the same features are provided. In either case, if you cannot verify your account email address and phone number using alternative factors of authentication, contact AWS Support to deactivate your MFA setting. Option 1: Choose Dashboard, and under Security Status, expand Activate MFA on your root user. Option 2: On the right side of the navigation bar, choose your account name, and choose My Security Credentials. If necessary, choose Continue to Security Credentials. Then expand the Multi-Factor Authentication (MFA) section on the page. In the wizard, choose Virtual MFA device, and then choose Continue. Confirm that a virtual MFA app is installed on the device, and then choose Continue. IAM generates and displays configuration information for the virtual MFA device, including a QR code graphic. The graphic is a representation of the secret configuration key that is available for manual entry on devices that do not support QR codes. With the Manage MFA Device wizard still open, open the virtual MFA app on the device. If the virtual MFA software supports multiple accounts (multiple virtual MFA devices), then choose the option to create a new account (a new virtual device). The easiest way to configure the app is to use the app to scan the QR code. If you cannot scan the code, you can type the configuration information manually. To use the QR code to configure the virtual MFA device, from the wizard, choose Show QR code. Then follow the app instructions for scanning the code. For example, you might need to tap the camera icon or tap a command like Scan account barcode, and then use the device's camera to scan the QR code. Make a secure backup of the QR code or secret configuration key, or make sure that you enable multiple virtual MFA devices for your account. A virtual MFA device might become unavailable, for example, if you lose the smartphone where the virtual MFA device is hosted). If that happens, you will not be able to sign in to your account and you will have to contact customer service to remove MFA protection for the account. The QR code and secret configuration key generated by IAM are tied to your AWS account and cannot be used with a different account. They can, however, be reused to configure a new MFA device for your account in case you lose access to the original MFA device. The device starts generating six-digit numbers. In the Manage MFA Device wizard, in the MFA Code 1 box, type the six-digit number that's currently displayed by the MFA device. Wait up to 30 seconds for the device to generate a new number, and then type the new six-digit number into the MFA Code 2 box. Choose Assign MFA, and then choose Finish. The device is ready for use with AWS. 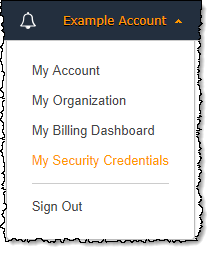 For information about using MFA with the AWS Management Console, see Using MFA Devices With Your IAM Sign-in Page. You can have only one MFA device assigned to a user at a time. If the user loses a device or needs to replace it for any reason, you must first deactivate the old device. Then you can add the new device for the user. To deactivate the device currently associated with another IAM user, see Deactivating MFA Devices. To add a replacement virtual MFA device for another IAM user, follow the steps in the procedure Enable a Virtual MFA Device for an IAM User (Console) above. To add a replacement virtual MFA device for the AWS account root user, follow the steps in the procedure Enable a Virtual MFA Device for Your AWS Account Root User (Console) earlier in this topic.